Poles are like Marmite, you like them or you don’t and a lot of runners have strong opinions about them. Personally we find them very useful, particularly for mountain races. For those who intend to walk part or all of a race they will come in very handy and with the correct technique can help you move faster for longer. 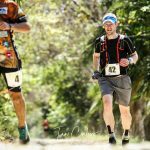 If you are considering buying poles for ultra-running here is some guidance that hopefully will help you. This is based on our personal views and experience and focused on light weight types of poles suitable for ultra-running. If you are interested in other types of poles, please do not hesitate to contact us. If you are not a pole runner normally and looking for a light weight pole that will do the job then the Mountain King Trail Blaze is a great option. These poles pack down small and offer good value for money. Made from aluminium they are strong but can bend if put under high stress. 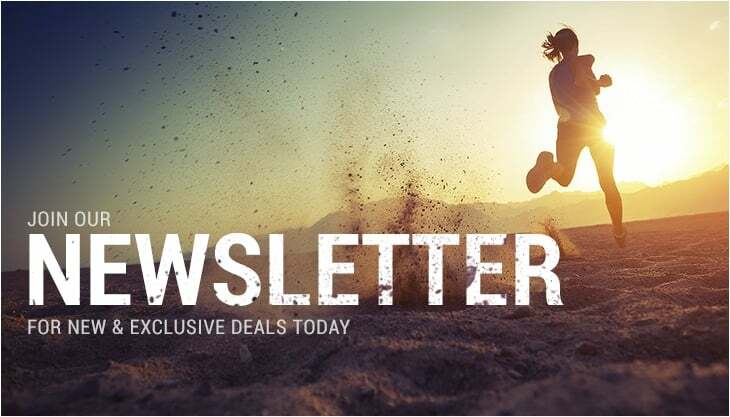 General trail ultras and desert ultras like the MdS might be sample races where you would choose these poles and also if minimising weight is your primary concern. They are also available in an even lighter carbon version! If however you plan to do a more serious mountain race like the UTMB, TDS, 10Peaks or similar or a longer demanding ultra-event then you may want to look at something like the Black Diamond Distance Carbon or the LEKI Micro RCM Carbon. 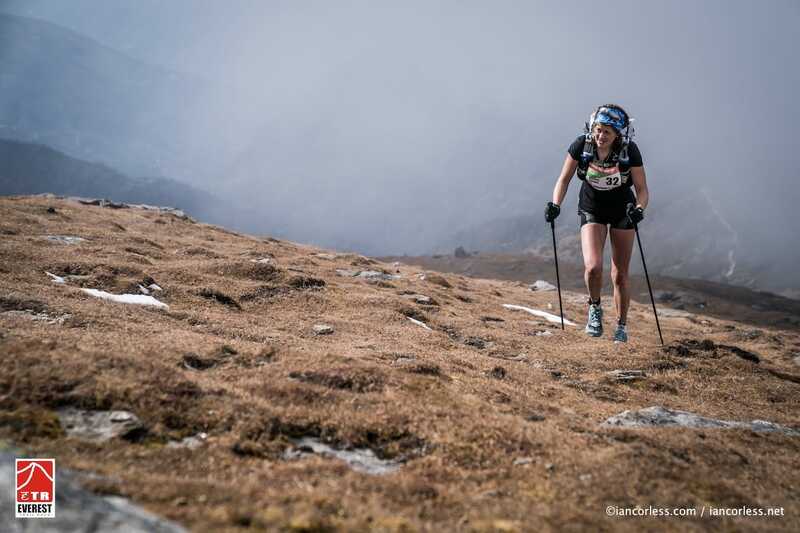 The reason is that you would most likely be relying on your poles for a large portion of the race, maybe face extensive climbs and descents and put your poles through some serious tests. These poles have comfortable grips and less vibration through the shaft thanks to the carbon fibre material. Whilst carbon poles won’t bend, they are more vulnerable to breakage or splintering than aluminium poles and although unlikely, this can be good to bear in mind based on the terrain you’re venturing out into. For a runner, the weight of the pole is important and should not be ignored. However, what is often overlooked is the ease by which the pole swings back and forth, the “swing rate”. The weight distribution of the pole determines this. Therefore, looking purely at weight may not give you the full picture of the effort required to actually use the poles. After all, if you use them with correct technique, they will swing back into place pretty much by themselves and you’re not really lifting them as such. The most common materials are aluminium and carbon fibre. Both are strong and light weight and carbon fibre tends to result in a stiffer pole, e.g. less vibration passing from the shaft through your hand and arm. It is also more expensive. Whilst aluminium may bend, carbon may break or splint. Hopefully you won’t be this unlucky but taking a fall, trapping a pole between rocks, or other undesirable events can cause damage to your poles. Foam: Absorbs moisture from sweaty hands and is soft to the touch. Cork: Resists moisture from sweaty hands, decreases vibration and conforms to the shape of your hands. Rubber: Insulates hands from cold, shock and vibration but more likely to chafe or blister sweaty hands. Also in the case of Mountain King Trail Blaze the handle is constructed from a breathable, padded mesh. Most commonly the straps are traditional with some padding, however there are poles which have the Nordic walking / skiing type glove strap. This is detachable from the pole handle so offers quick release where you need to use your hands. If you are after the very best performance at the least amount of weight then a fixed, non-collapsible pole is the best option. However, for most runners these are not practical. Reasons why it can be more convenient to choose a collapsible pole include ease of stuffing away when not used and ease of travelling. Fixed poles will have to be well protected and checked in as special luggage when travelling. Collapsible poles can be either of a “z-fold” construction where the pole is constructed from 3-4 sections that collapse in a folding manner, or of a telescopic construction where the sections slide into each other. It is personal preference which to choose. The z-fold poles typically pack down shorter whereas the telescopic are longer collapsed but with the benefit the pole neatly fitting into itself. At present myRaceKit stocks the z-fold type only. Some poles, like the Black Diamond FLZ or the LEKI Micro Trail Vario have the benefit of adjustable length. This can be useful if you want to share poles with someone that is a different height than yourself, want to have a very precise height not offered by standard lengths, or if you want to have the ability to adjust the height climbing uphill (shorter) and downhill (longer). The trade-off for this added flexibility is typically a bit of extra weight. There are a couple of simple methods you can use to find the right pole length for you. The first one is to multiply your height in centimetres by 0.68 and round this to the nearest 5cm. The second method is to imagine that you are holding a pole with your elbow at 90 degrees angle and measure the distance from the ground to the top of your hand. Basically, your elbow should be at a 90 degree angle when you are holding the grip of a pole with the tip placed on the ground, your upper arm shoudl be vertical in line with your upper body and your underwarm should be parallel to the ground. It can be useful to factor in what shoes you are normally wearing when fine tuning what height to choose. For example you may want to round up rather than down if you frequently run in Hokas with high soles and you find yourself between two pole sizes. If you expect to primarily be using your poles when climbing uphill you may want to size down if you’re between sizes. Applying these methods should ensure that you can find a pole with a good fit for you. The more time the poles stay in your pack as a backup tool the more important the weight. The more you intend to actually use them, the more important the quality, swing rate and comfort of the handle (plus of course your technique and ability to use them effectively and efficiently). The table below provides a summary of the characteristics of some of the most popular poles for ultra-running and light weight backpacking. Our range of poles is continuously updated – check it out here. All poles may not feature below. Our comments The lightest z-fold pole on the market? We’re very impressed. If you are chasing every gram this is the choice! Great value, light pole. A wide range of colours and custom designs available on request. Great value pole if you don’t want to fork out for the carbon models. A light aluminium alternative. One of our personal favourites for a wide variety of events. Leki is the Rolls Royce of poles and as soon as you hold these in your hand you’ll agree. Great where flexibility and quality are your key priorities. A very versatile pole. Great where flexibility and quality are your key priorities. A very versatile pole. An updated and lighter classic model from LEKI.